Wow!!! 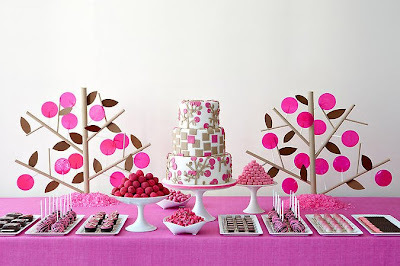 Amy Atlas, your sugary~chic event designs are absolutely gorgeous. Our sweet tooth has a crush on your photos. Fornarina has had one of the coolest websites for years. 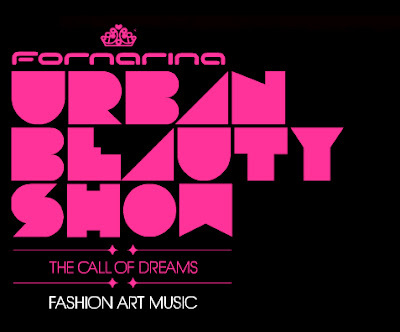 Make some free time to see the art, music and fashion delightfully intertwined at the URBAN BEAUTY SHOW. While you are there, make some time to see Fall Winter 09.10 collection. Great info from The New York Times for small businesses. As my friend Priya would say "You are either a lipstick girl or a gloss girl", I 'm a gloss girl. In my opinion, the two best glosses right now are Buxom lips by Bare Minerals in krystal and Smashboxes o-gloss which adds a tint of pink to your own lips, it's a sugary pink weapon. AND, Shazzam! 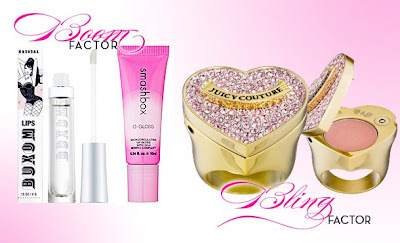 !~ what a delicious little treat by Juicy Couture for Sephora, the Pavé Lip Gloss Heart Ring. I don't know what the gloss is like but I bet the ring has magic powers. All of these are found at www.sephora.com. I love more than anything a reason to buy a new accessory. It's no news that laptops, cell phones, ipods etc. have given us so many to things to dress up. 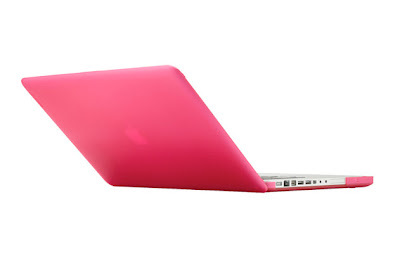 What better way to make your workday cheerful than to embrace your inner barbie doll and buy your best friend and laptop a pretty pink case? ... and then maybe another bag to put that case inside of, yes, sort of like Russian nesting dolls. 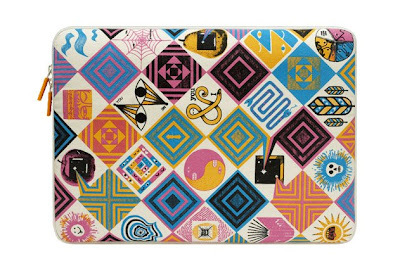 These accessories are from goincase.com, lovely. How gorgeous is this interior? I love the blend of eastern and western design elements . The use of light creates an ancient yet modern feeling space. Gillian pulled these out of our design inspiration resources. If you took this photo, designed the space or know who did, please let us know so that we can credit the work. Phrizbie-design shares daily DESIGN inspirations here. Welcome to the Ladies of Design! Gillian and Grace from phrizbie-design share their thoughts and inspirations from everyday life here.